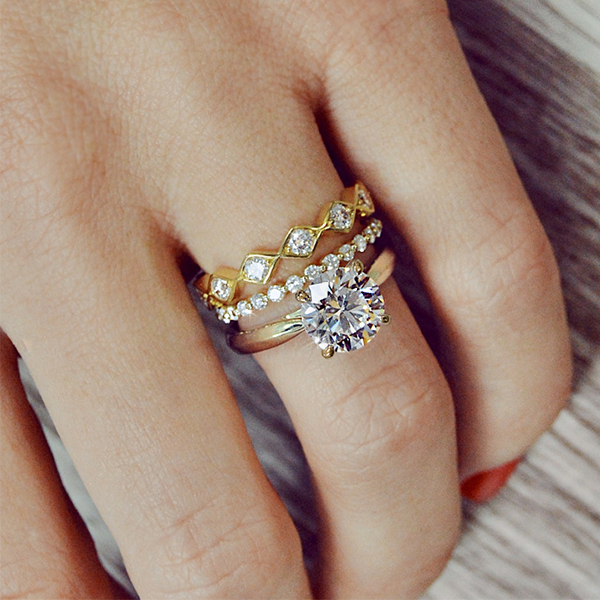 What style wedding band is best. You have recently gotten engaged! Congratulations! Before you know it, you are well on your way to planning the wedding of your dreams. You start picking out the perfect dress, your venue and every other minute detail that seems like no big deal, but is the very thing that sets your wedding apart and makes your day uniquely yours! The same is true with picking out your wedding band! 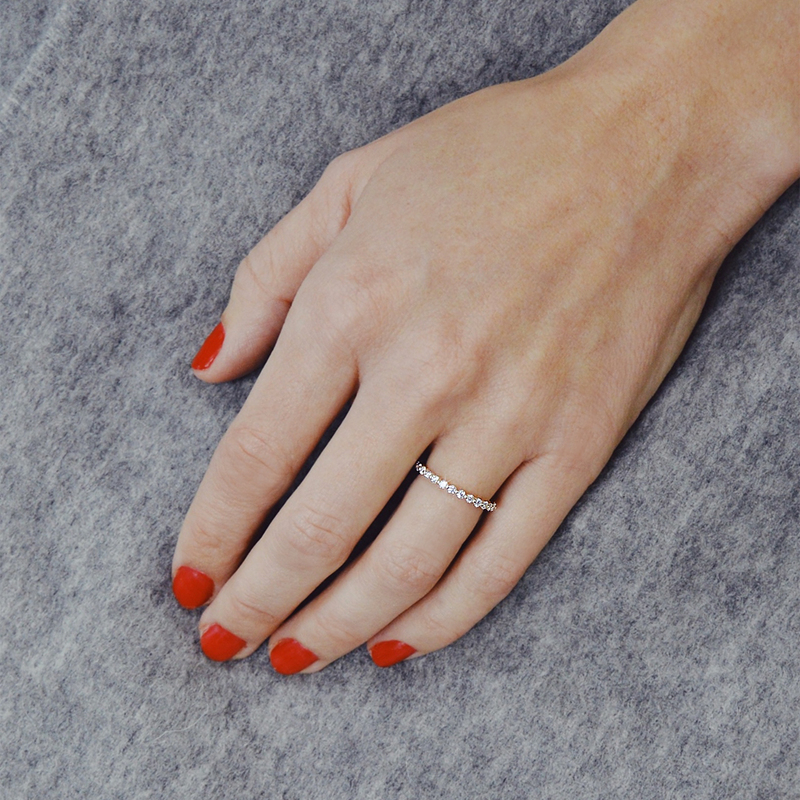 Do you choose something that is an exact match to your ring or do you opt for something that is unexpected, even daring? The answer to this all comes down to this. Personal preference. Are you somebody who likes clean tidy lines? When you choose outfits or home décor do you tend to be minimal and coordinated? 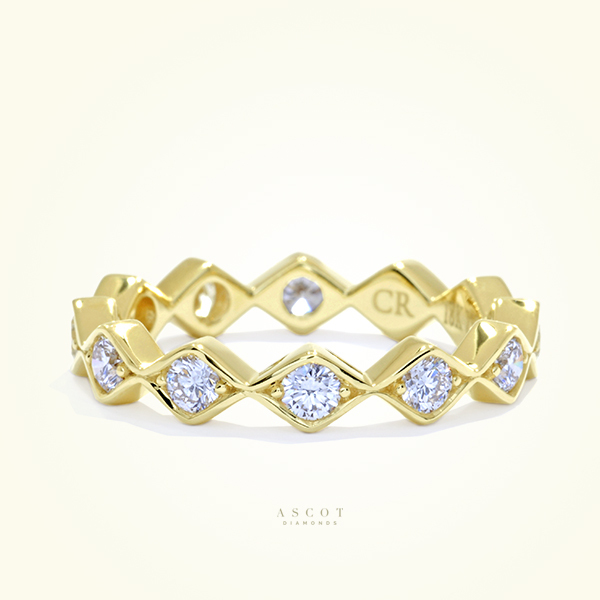 Then perhaps a matching band or a band that is close to your engagement ring in aesthetic is for you! Maybe the opposite is true… Are you a risk taker? Or do you have a laid back boho vibe? Choosing something unexpected might be the perfect option for you! 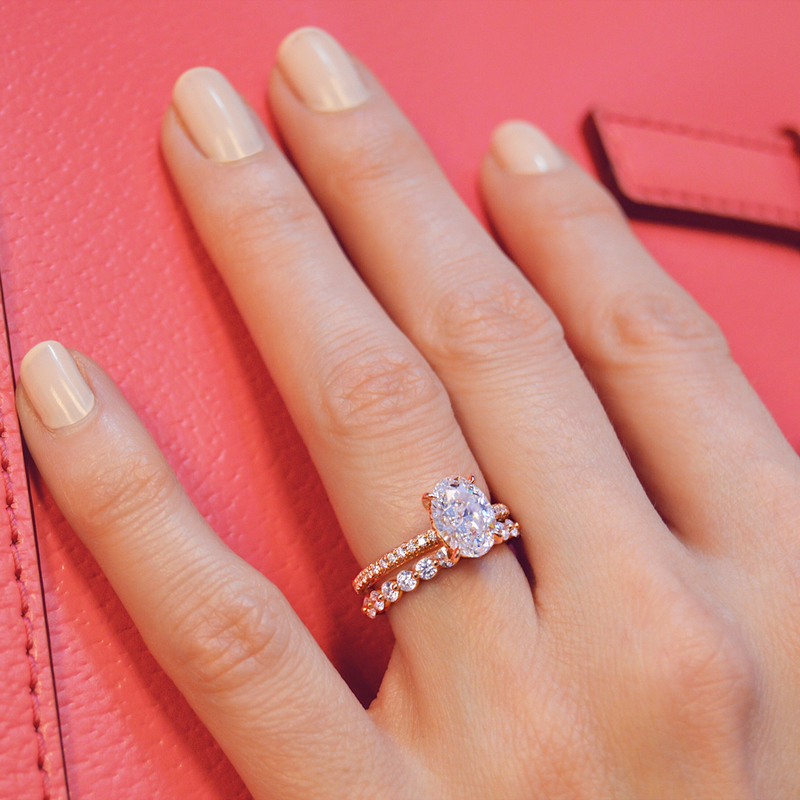 Go ahead, pair up that edgy wide diamond band with your classic solitaire engagement ring. See what happens! You might just surprise yourself. Do you have to choose only one band? Thankfully there is no etiquette that says you have to only have one band. Here at Ascot we absolutely adore the stacked band look, but again this is personal preference. We have clients who purchase the one band that perfectly complements their ring and they feel their wedding set is complete. On the other hand, we have clients who want to keep stacking until they can’t possibly fit one more band on their hand. This answer is simple. Not at all! There are great combinations and examples of mixing metals! You can go one step further and along with a different metal you can do different colored diamonds to give your ring even more contrast! 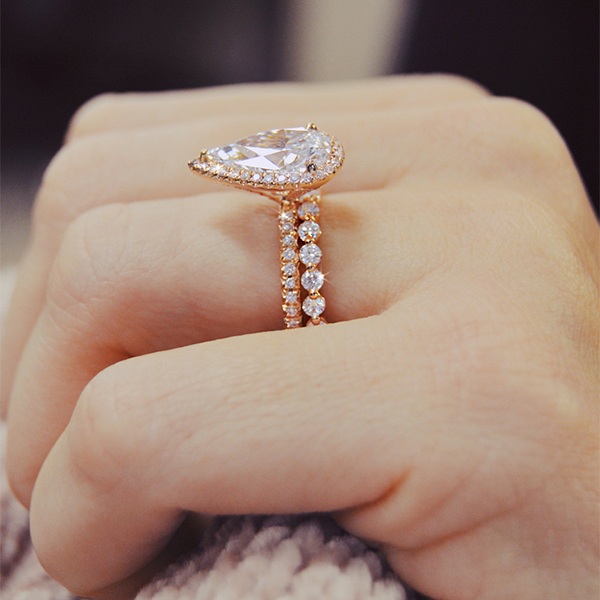 Think pink diamonds set in rose gold! Does your engagement ring have to fit perfectly together with your band or is it OK if there is a little space in between? A little space in between your band and your engagement ring is not an issue at all, and can be quite charming, unless it bothers you. 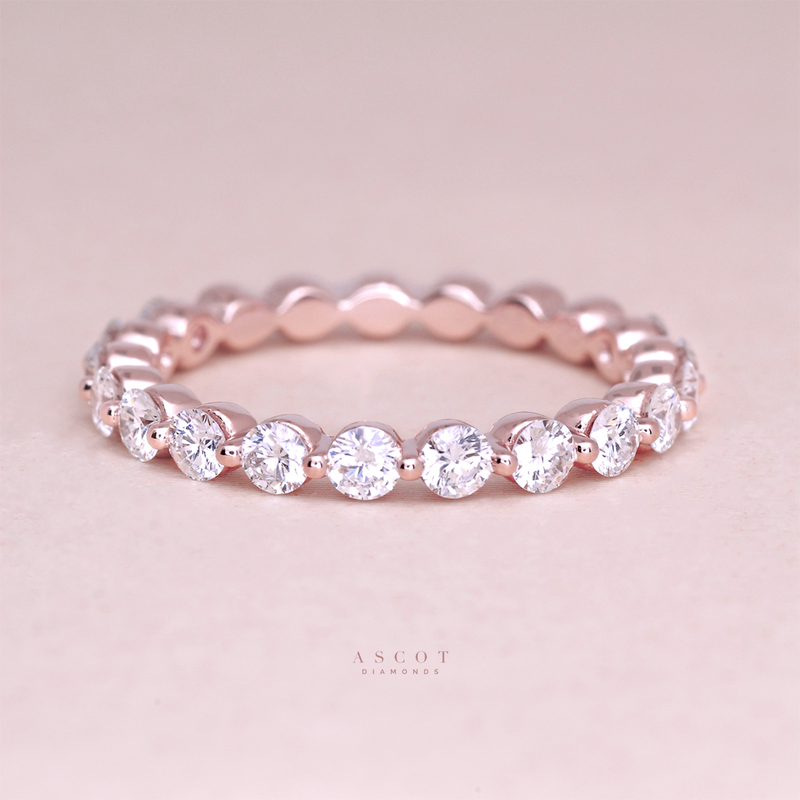 Rings are often designed to be beautiful from every angle including the side and sometimes this does not allow for a band to fit flush with the ring. Most of the time this is not a big deal, but sometimes a straight band just might not look right with the ring. This is where a curved band or a custom designed band comes into play. 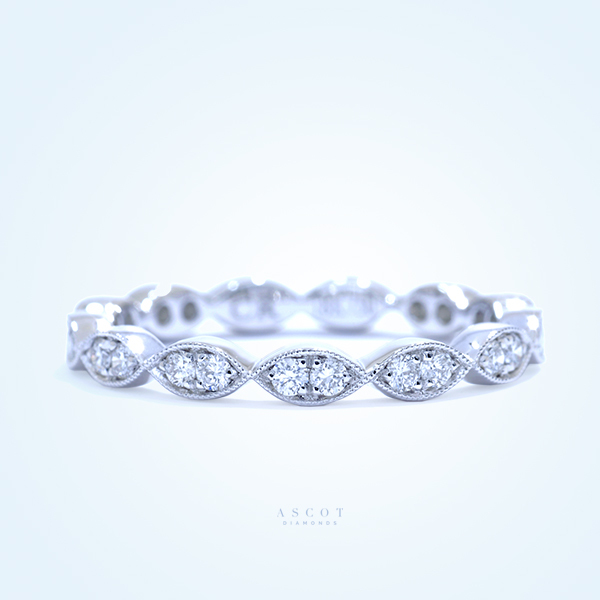 At Ascot we have a team of designers who will walk you through an easy process of having a band custom tailored to fit perfectly with your engagement ring. Click here for more information on custom. Does the band and engagement ring have to be the same width? The short answer is no. 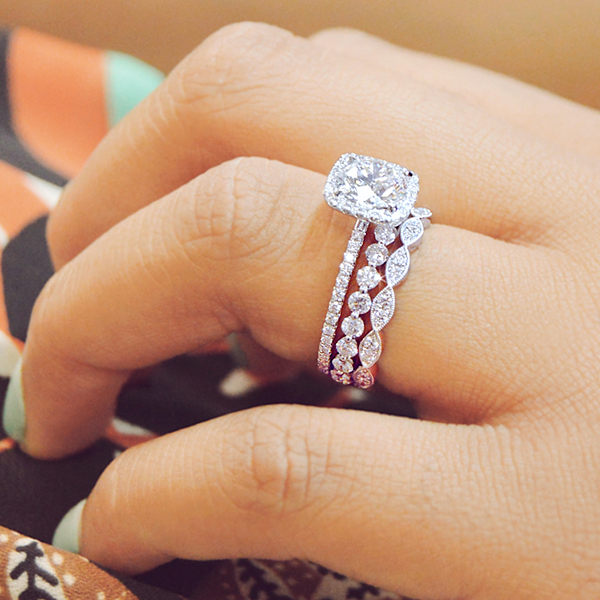 Make an appointment with us below to find you dream wedding band!